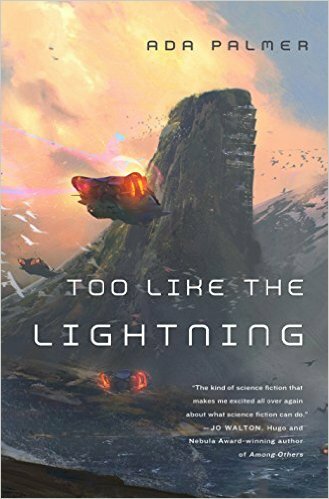 Too Like the Lightning by Ada Palmer is the winner of the 2017 Compton Crook Award. The award is presented by the members of the Baltimore Science Fiction Society for the best first novel in the genre published during the previous year. A check for $1,000 and a commemorative plaque will be presented to Palmer during Balticon 51’s Opening Ceremonies on May 26. The award is named in memory of Towson State College Professor of Natural Sciences Compton Crook, who wrote under the name Stephen Tall, and who died in 1981. The award has been presented since 1983 and is also known as the Compton Crook/Stephen Tall Award. More information on author Ada Palmer can be found at her website. An excerpt from the winning novel can be read here. This entry was posted in Awards and tagged Ada Palmer, Balticon, BSFS, Compton Crook Award by Mike Glyer. Bookmark the permalink. I have always enjoyed reading the Compton Crook Award winners. The Baltimore Science Fiction Society are usually pretty good pickers IMO.